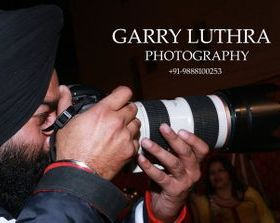 GARRY LUTHRA PHOTOGRAPHY The Best Photo Graphers We are working in last 10 years in mohali and chd city . Digital video coverage with multiple video cameras . we are deals in Advertising photography, landscape photography, Travel photography, Product photography, Fashion photography,Industrial Photography, Food Photography, Sports Photography, Editorial Photography , Event Photography, Wedding coverage in chandigarh & India . “Apkpale Sunehre ” for those memorable days to make one easily recall each and every passed moment. Just a simple click captures all the emotions and colorful moments to retain them as memories. AJit Photography is an organization which deals in offering expert photography services for various occasions. With a perfect combination of light, location and mood, we capture photographs that speculate on the past, present and future. Our services have been a showcase of excellence assembled and customized to suit the needs of individuals as well as professionals.